The Smiths were a prosperous farming family in Brockenhurst in the New Forest, based in a property called Careys, when in the 1790s Robert Smith married Alice Bowden. They had four sons (Nathaniel, Richard, Henry and David) who all had Bowden as an additional forename. Moreover all their children, of whatever gender, were given this same forename, as were the next generation. As the 19th Century progressed some of the family hyphenated the name, and so Bowden-Smith became the accepted usage, and it is that form I will adopt in this story. Of the four sons Nathaniel, the eldest, inherited Careys, while Richard moved to a property called Vernalls in nearby Lyndhurst. David I have not been able to trace, but Henry joined the East India Company’s Bengal Army, and by 1833 he was a Captain in the 37th Regiment of the Bengal Native Infantry. This had only become a separate regiment in 1824, and was later to become one of the regiments which mutinied at Benares in 1857. Bowden-Smith was destined not to be around to witness that. 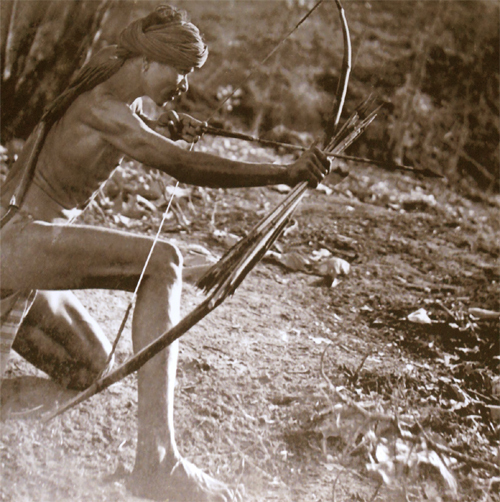 The Bheels are a tribe of central India, mainly in Rajastan and Mahayal Pradesh, who traditionally had a reputation as warriors and effective guerrilla-style fighters. Under the Moghul Emperors they were apparently relatively peaceful hunter-gatherers, but facing persecution under the Mahrattas they took to the jungles and became less acquiescent to authority. When in 1818 the British organised the princely states of Central India into the Central India Agency, centred on the town of Neemuch (now in north-west Madhayal Pradesh, close to the border with Rajastan), they attempted to bring the Bheels to heel, but without success. Therefore in 1825 a Bheel Agency was created, specifically to deal with the tribe, and a Bheel Corps was formed, in an attempt to quell the less co-operative tribesmen. Their success can be judged from the fact that when Captain Henry Bowden-Smith died at Neemuch in 1833 it was of “wounds received in action against the Bheels”. As nomadic hunters operating in thick jungle the regimented British forces clearly found them difficult to overcome. The operations of the British in India focus on the large conflicts, so that we know about Hastings and Tippoo Sultan, Wellesley and the Sikh wars, and Afghanistan and the Mutiny, but all the time, behind the headline-grabbing campaigns, was the continual attrition of the little conflicts, like that against the Bheels. The Bheels' main objection was similar to that of nomadic hunter-gatherers anywhere in the colonised world, whether it be Apache or Sioux in America, Bushmen in South Africa, aborigines in Australia, lost tribes in contemporary Amazon; how can their lifestyle be compatible with a Western model of land ownership, which says they can no longer hunt and gather as they did formerly. The British wanted the Bheel to come out of the jungles and settle down as pastoral farmers; many of the Bheel did not want to do this, and so adopted a guerrilla war which lasted for over twenty years. When Henry Bowden-Smith was sent out from Neemuch in October, 1833 it was more of a police mission than a military one. A local opium merchant had been murdered, and his killer had been located in a Bheel village in the hills of the Banswara jungle, a dense forest dominated by bamboo and teak. On the 21st of October Bowden-Smith set out with fifty Bheel Corps sepoys and 12 local native horsemen to arrest him. On the morning of the 24th, in the pre-dawn dark, Bowden-Smith’s men surrounded the village, and he moved in to arrest his target. The man resisted and shooting began, which led to several villagers being killed, as well as one veteran Corps NCO. The murderer himself was seriously wounded, but still alive, and so Bowden-Smith loaded him onto a charpoy and set off back for base, taking with him a further twenty villagers as prisoners. If he had just settled for taking his initial target Bowden-Smith might, only might, have had a trouble-free return, but taking so many villagers captive was a provocative move. As they descended the route back took the patrol through a narrow pass, blocked with boulders and fallen trees. As they struggled through they came under fire from both sides, with hundreds of Bheel tribesmen attempting to free the prisoners. Three NCOs and eleven sepoys were wounded, and Bowden-Smith received two arrow wounds, one of them “nailing his cap to his head”. The prisoners were released, and the captive murderer abandoned to his charpoy, as Bowden-Smith, like the other wounded still active despite his injuries, ordered them to battle through the pass. Fighting constantly they were pursued for three miles by the Bheels, until eventually they broke into open ground where the waiting horsemen came to their relief. In his report Bowden-Smith praised the fighting spirit of his men, but that report was to be one of his last actions. The arrow to his head had done more damage than at first thought, driving part of his skull into his brain, and at a quarter to ten on the morning of November 2nd he died. Henry had married the year before he died, to Clementina Beckwith at All Saints, Southampton. It appears they did not have a child, and the widowed Clementina died at Dover in 1851. Henry’s brother David died at Lymington in 1848, but the other two brothers lived into their eighties. Richard passed away at his home in Lyndhurst in 1881, and Nathaniel, the eldest, was the last to go, dying at Careys in 1886. Both he and Richard had several children. After his death his spinster daughters sold up, moving to a smaller property in the village. The new owners demolished the house and built a new one on the same site. That house still stands today and functions as a hotel. Henry was not the only military man in his family, nor is he the only one to have been killed in an obscure conflict and then commemorated at St. Nicholas’ Church in that town: his near-namesake, Lieutenant Charles Henry Bowden Smith, was a member of the Somali Frontier Force, and died in action at Jidballi in Somaliland in 1904; Engineer-Lieutenant Charles Bowden Smith was mentioned in dispatches in 1917 for his bravery when serving in the Destroyer and Torpedo Boat Flotilla; and Nathaniel Bowden Smith, Nathaniel’s son born five years after Henry’s death, became Admiral in charge of the Australian Station and then The Nore (responsible for the East Coast of England). As for the Bheels, they eventually settled down, though not before rebelling again in the 1870s and 1913. 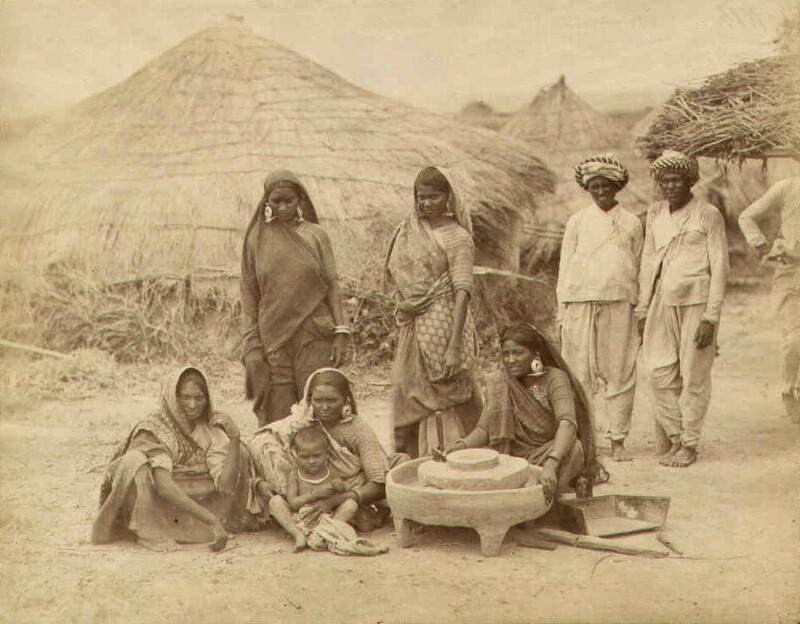 Now they are one of India’s Scheduled Tribes, and are mostly (and Bowden-Smith and his contemporaries would be happy) small farmers or landless agricultural labourers – though hunting and gathering are apparently common secondary pursuits, so they have still not capitulated altogether.